Leveraging on our vast industrial experience in the industry, we offer functionally advanced range of Glass Filling Machine that is valued among the clients for excellent quality and high strength. We offer them in different capacities and are offered with adjustable knob. They can be easily installed in required area and are delivered in well-defined time. 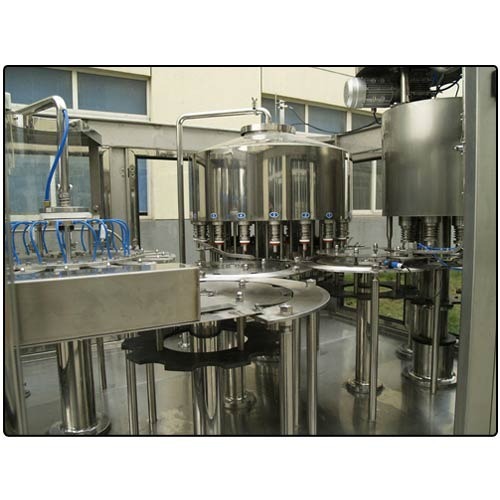 Driven by innovation and technology, we, Standard Packs Packaging Machines, is a company having vast industrial experience and total knowledge of designing as well as assembling filling machines and handling conveyers. The company was founded in 2011, and today, it is renowned for manufacturing and supplying a wide assortment of Drum Lifters, Material Handling Conveyors, Powder Filling Machine, Viscous Liquid Filling Machine, Glass Filling Machine and many others. On-going improvisation as well as retrofitting in our production facility has helped us providing inventive and technically advanced range to the clients. Backed by cutting-edge technology, our all product range is acknowledged among huge clientele for their matchless features such as tensile strength, precision engineering, outstanding performance, sturdy construction, less maintenance, high functional life and many others. In addition to this, our all products are assembled using high grade components, which further have made our entire range largely acceptable by the customers. We also lay great emphasis on designing and assembling these machines as well as conveyers as per the exact requirements of clients. With our never dying commitment towards perfection and excellence, we have been able to set benchmarks in this challenging industry.